Antoni Gaudí's influence can be seen all over Barcelona but Park Güell may showcase his style and talents best. Gaudi's style and imagination for using organic shapes to create surreal spaces is highlighted throughout the park. ​Park Güell was originally part of an unsuccessful housing venture by Eusebi Güell in 1900. The intent was to build a community of luxury homes that took advantage of the beautiful views present from the rocky, hillside location. The project didn't generate enough interest. In 1906, Gaudi bought one of the homes and moved in with his family. Today, Park Güell had been converted into a municipal garden and it's open to the public to explore. You will need to by tickets in advance if you want to view the whole grounds which I'd recommend. There are sections of the park that can be accessed for free if you don't have tickets or don't have the time to completely explore the gardens. We walked to Park Güell from Sagrada Familia. It was a pleasant walk but be prepared for it to take some time. In this direction, much of the walk was up hill. There is also public transportation that can drop you near the park entry. As of today, Park Güell has been added as a point of interest to the Duckwyn passport app. 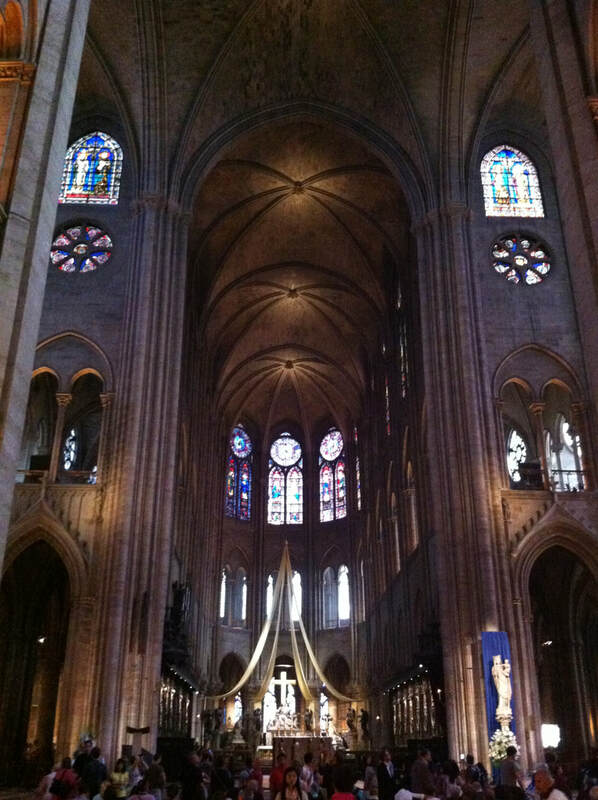 I had the fortune to visit Notre Dame a few times. It's one of those places you never forget. The first time I visited, I remember taking the batobus there. The water taxi dropped us off right next to the cathedral. The view from the water was unbelievable. It was a warm spring day and the pattern in the clouds produced some amazing photos. 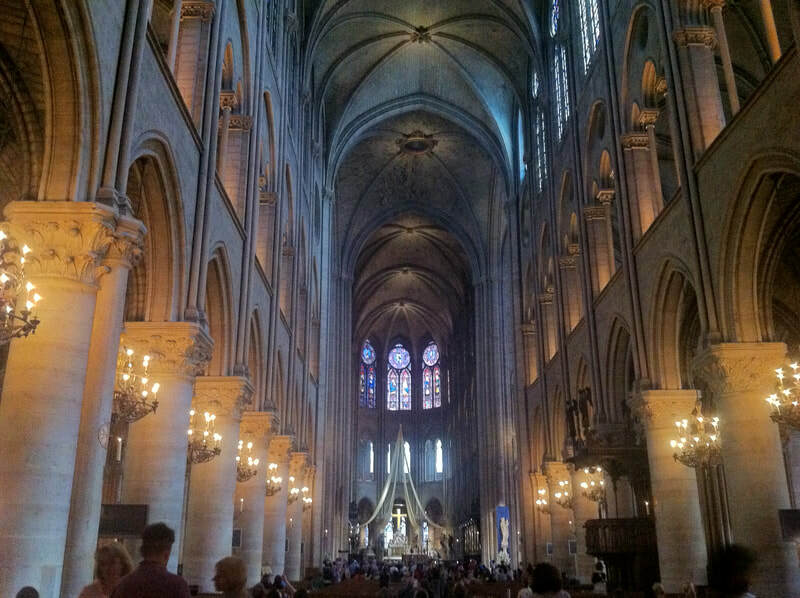 I came back a few more times over the years, once taking a tour through the towers with my wife. 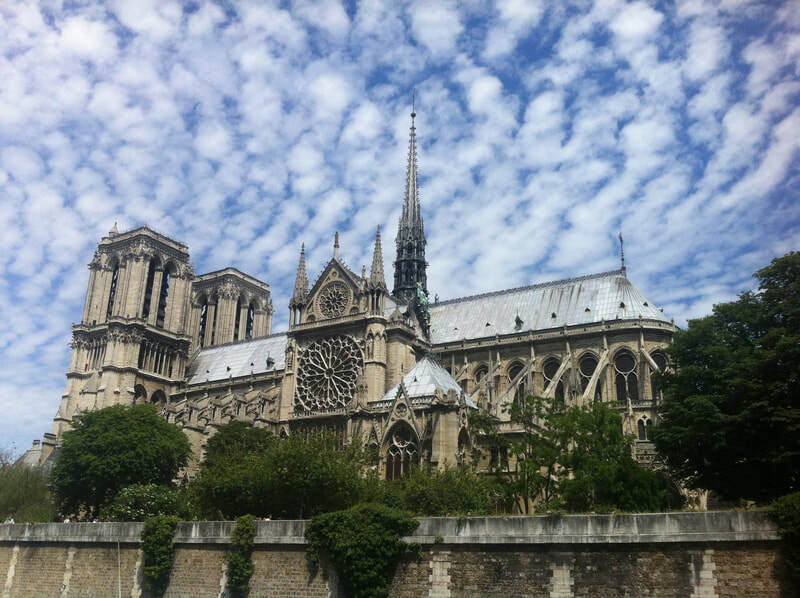 Today, Notre Dame was severely damaged by a fire. I had so many emotions watching it burn. 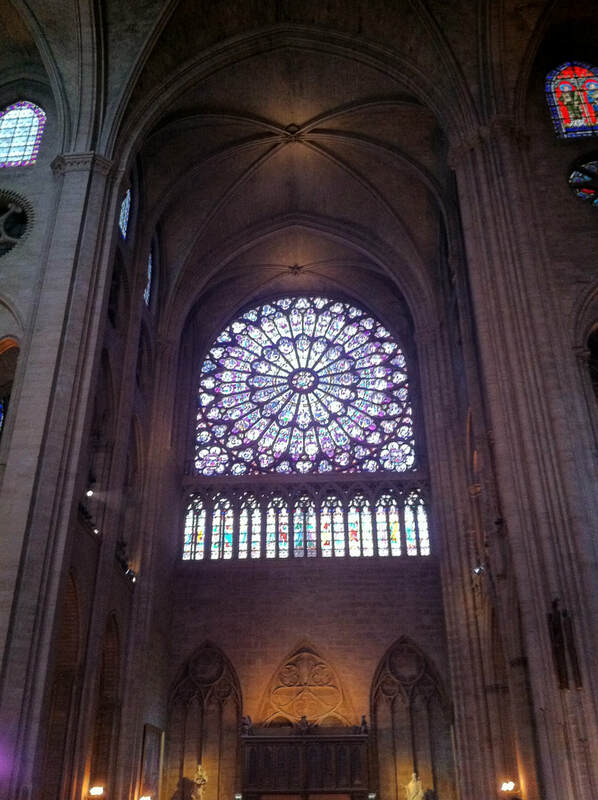 It was so sad to see the spire collapse and to think about the stained glass, paintings, and other artifacts getting destroyed inside. It seems especially cruel for this to happen during such an important holy week. 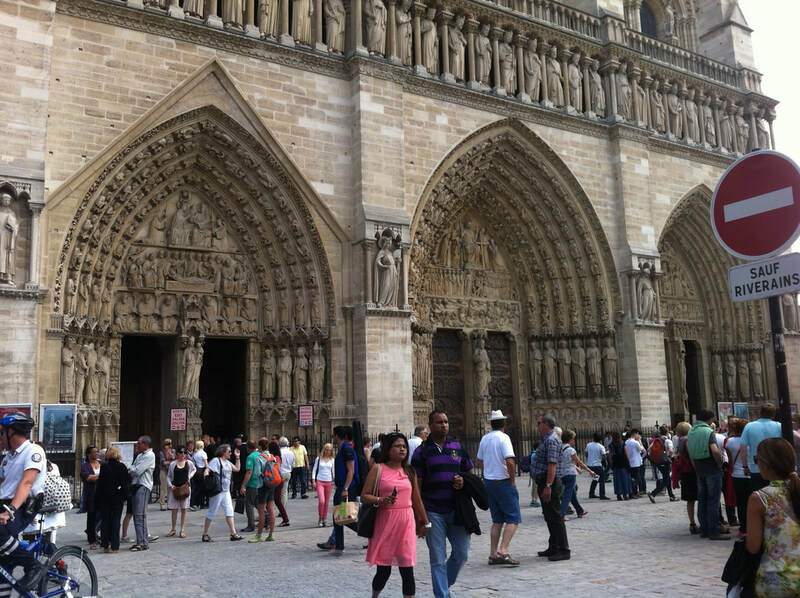 Exactly 3 years ago, I was able to take my then 10 and 7 year old kids to Paris. 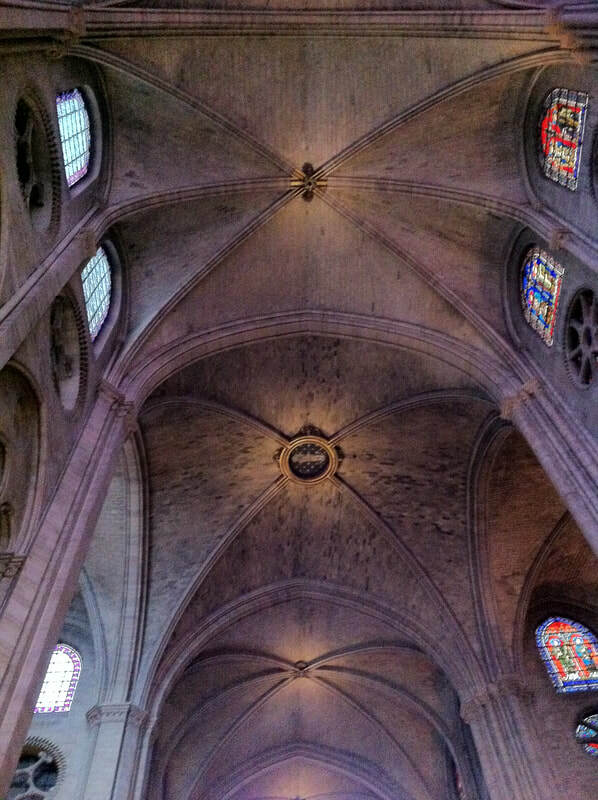 We took pictures outside Notre Dame and toured the inside. 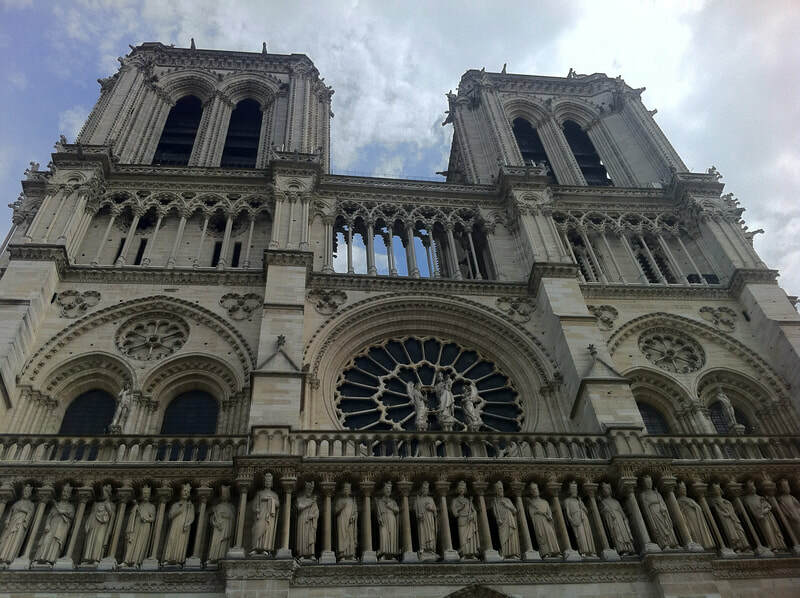 I feel so fortunately to have been able to take them there and that they got to experience the cathedral in all its glory. 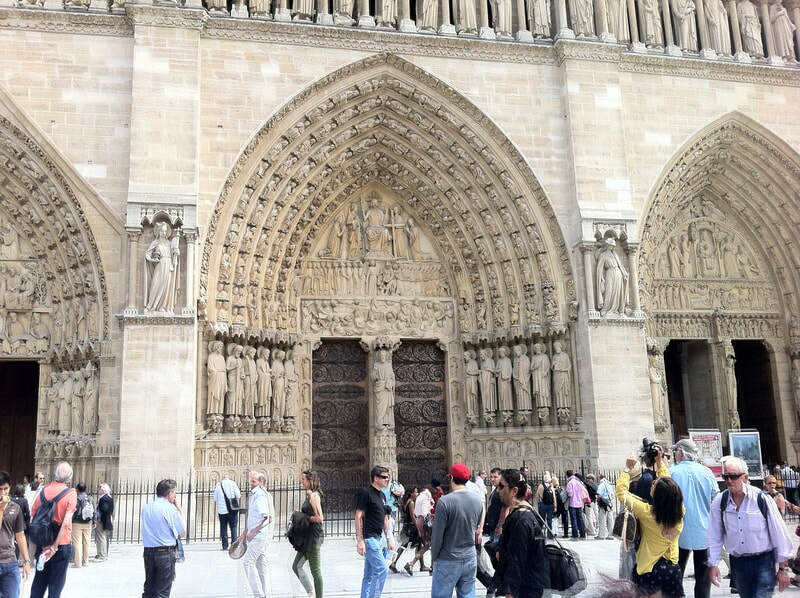 Seeing their sadness confirmed to me that this 800+ year old cathedral could be appreciated by all, regardless of age, race, or religion. I hope that it can be returned to its former glory. 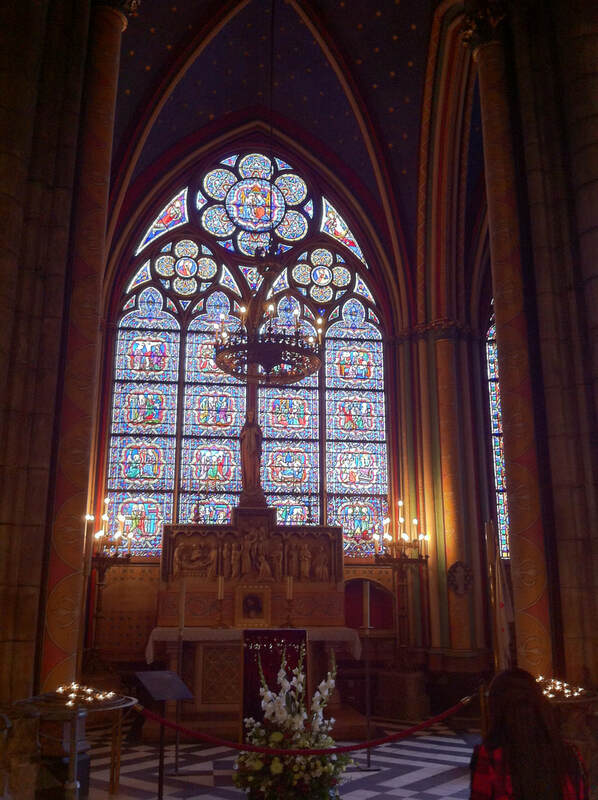 It will take years to recover but I know the Parisians will find a way. 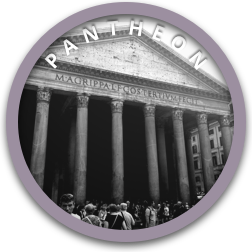 The original Pantheon was built in 27 B.C. It burned to the ground in 80 A.D. and was rebuilt and dedicated around 125 A.D. The Pantheon is now almost 1900 years old. It is the most well preserved building from ancient Rome. The most significant architectural design of the Pantheon is its dome roof. The interior dimension of the dome is over 141 feet making it the world's largest unreinforced concrete dome. The Roman architects and engineers were ahead of their time with their ability to work with arches, marble, and concrete. If you're traveling through Rome, take some time to visit and appreciate this amazing work. There is so much to do in Rome that you will probably need to make a second trip. If this is the case, then be sure to visit the Trevi Fountain. It is believed that if you turn your back to the fountain and throw a penny with your right hand, over your left shoulder into the water, that you will return to Rome. Following this tradition should increase your odds of making a return visit to this wonderful city. We had a great time touring Rome and the almost 300 year old fountain was one of the many highlights. On a bright sunny day, the stonework highlighting the Roman God Neptune and clear blue water provide a refreshing retreat. Just be sure to visit earlier in the day when the crowds are smaller. 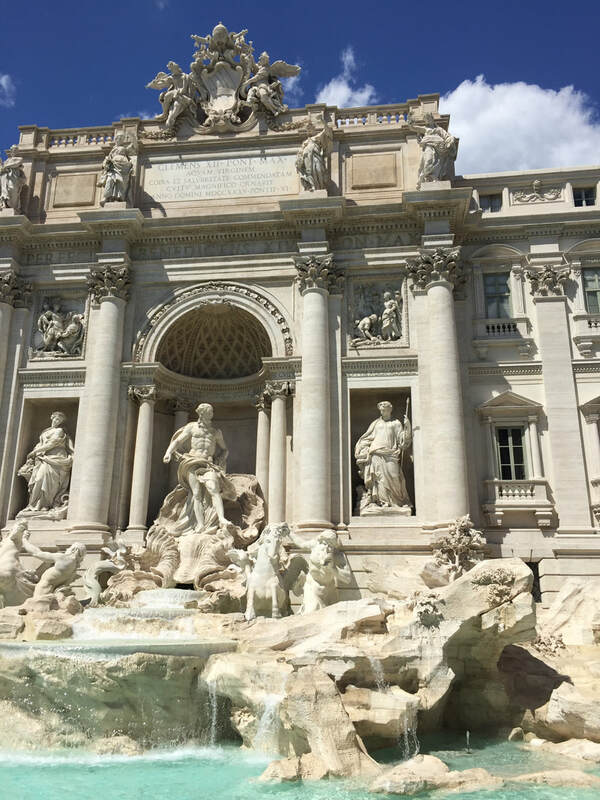 Starting today, the Trevi Fountain can be found in your Duckwyn family travel app. If you don't have the app, then you can get started today with our special beta price of $5 per year. Today, Grace Hopper was added to the list of people to find using your Duckwyn passport. Grace Hopper was an early computer scientist and United States Navy rear admiral. Her work in the early days of computer programming led to many practices that are still used today. Her work on the first compiler made it easier to program using English terms that could then be converted to machine code. She retired from the Navy 1986 and went on to continue her computers as a consultant for Digital Equipment Corporation. Visit a small park near where she lived in Arlington, Virginia to find and collect her card today. Tower Bridge was opened in 1894 and has become one of the most iconic symbols of London. It's just a short walk from the Tower of London. If you have the time, I'd recommend the self guided tour. 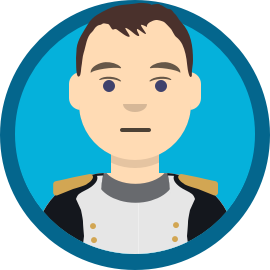 It will take you through the history and inner-workings of the bridge. It's a fun tour for families and it includes a fun photo opportunity as your cross over a glass floor between the two towers of the bridge. At the end of the tour, you can go inside the base of the bridge and see how they raise and lower the draw bridge for tall ships to pass through the River Thames. Starting today, you can add Tower Bridge to your Duckwyn Passport book. Don't have a passport book yet? Get yours today. Today Harriet Tubman, was added as a new historical figure to discover and learn about. Harriet led an inspiring life. At the age of 27, she escaped slavery and found freedom in Philadelphia. Shortly after, she would risk her freedom and her life to save hundreds of other slaves. 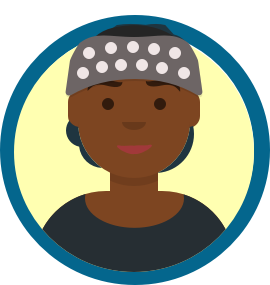 Her knowledge of the local area and the strong bonds she made helped her build a network of safe houses, called the Underground Railroad, that allowed her to guide slaves to freedom. Later, she would go on to free hundreds of slaves while leading the assault on the Combahee River Raid. Harriet Tubman was an extraordinary person who risked it all to save others while fighting to end slavery. You can learn more about her at the Harriet Tubman Underground Railroad National Historical Park. 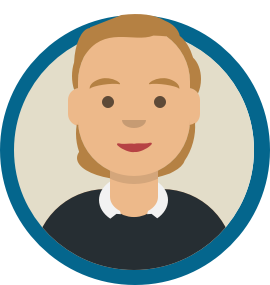 While you're there, be sure to use your Duckwyn app to add her to your passport. 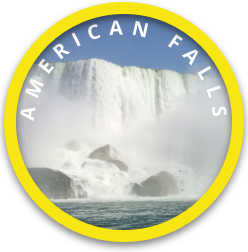 Starting today you can collect stamps and coins in your Duckwyn Travel Passport for the Horseshoe and American Falls. Niagara Falls is a beautiful destination. You'll want to view the falls from both the US and Canadian sides to take it all in. The Canadian side has the best views with plenty of shopping and eating options. However, if you stop there, you'd be missing out on Niagara Falls State Park and the Cave of the Winds. There is a lot to see and do in Niagara, including biking, boat trips, and museums. Make sure you plan to stay for at least a couple of days. If you don't have a Duckwyn Travel Passport, get yours today for our limited time price of $5/year.